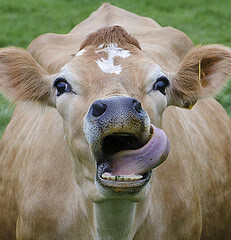 What are you doing cow? Clean and wash the tongues. 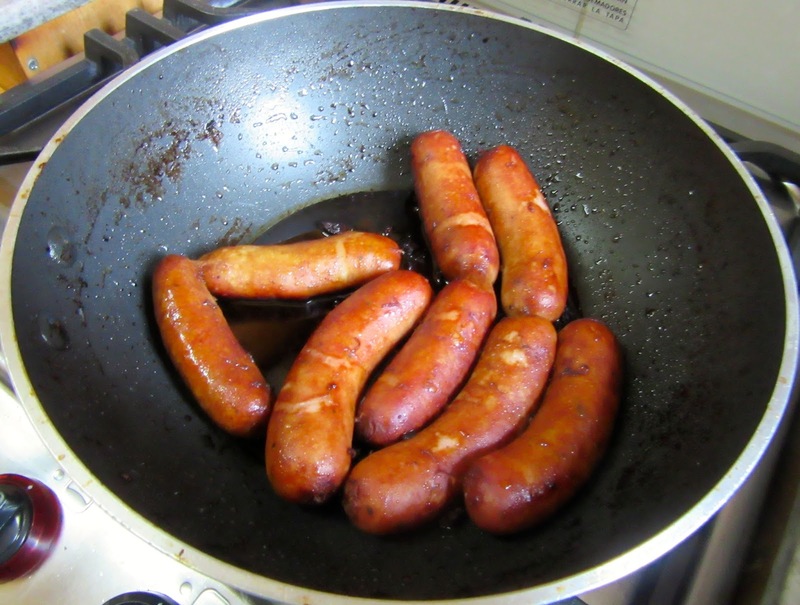 If using sausages prick them with pins or a fork to prevent them from exploding. Put them in boiling beer and leave until there is almost no liquid left. Remove from beer and rinse in cold water until cool enough to touch. 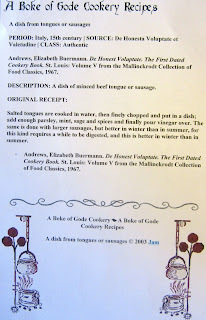 Cut outer layer of skin off each tongue or encasing if sausages are used. Put the tongue or sausage in a food processor and grind. Add freshly chopped herbs. Heat olive oil in a skillet. 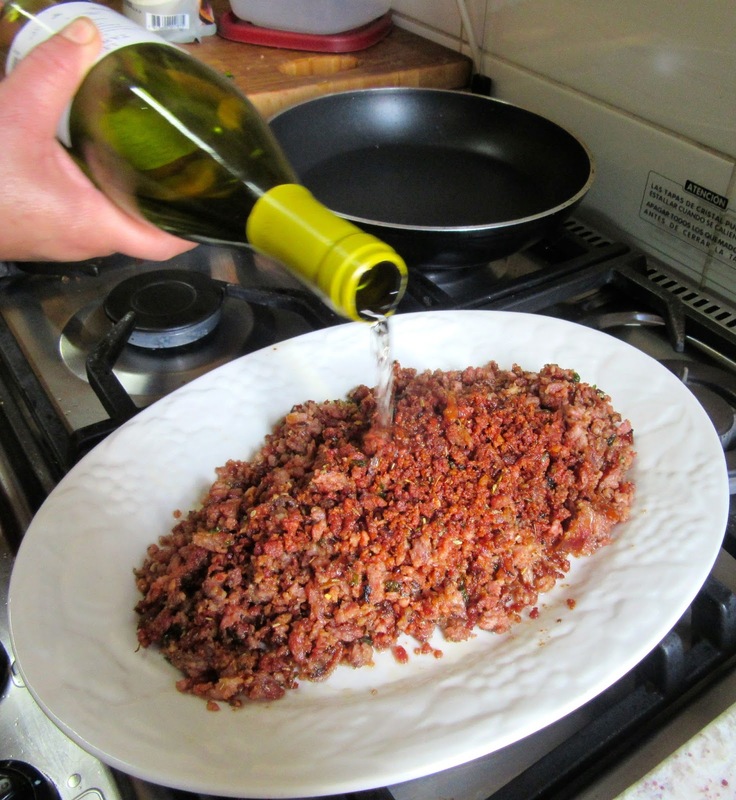 Gently sauté the mixture until warm and the herbs and spices have become aromatic. Add salt and pepper to taste. Place in a serving bowl. 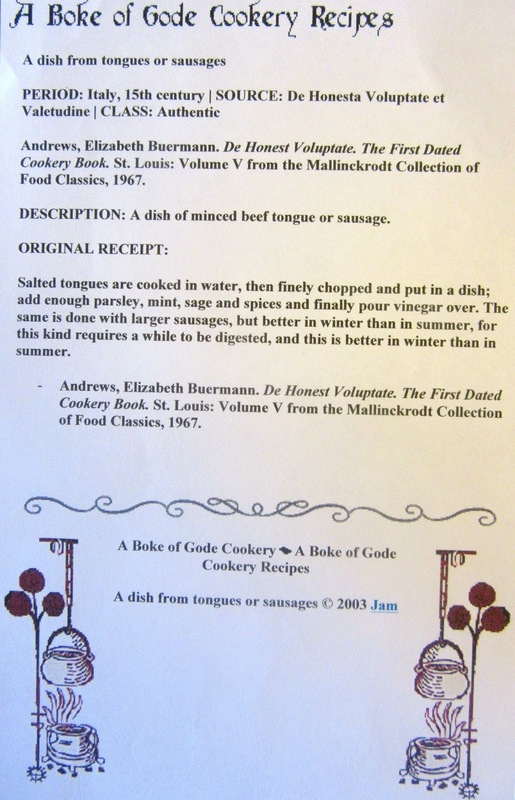 Note that the recipe is open to variations such as onions and today potatoes although the latter are not medieval. The Medieval Spanish Chef’s variation instead of water.